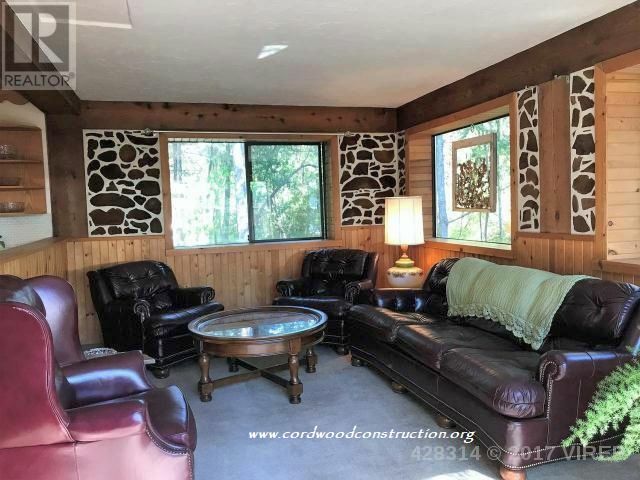 Would you consider buying a cordwood home? 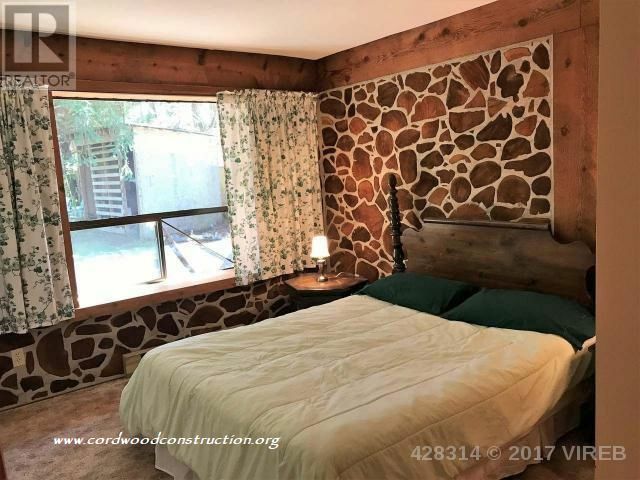 I have known of several dozen cordwood homes that have “come on the market” in the past ten years. 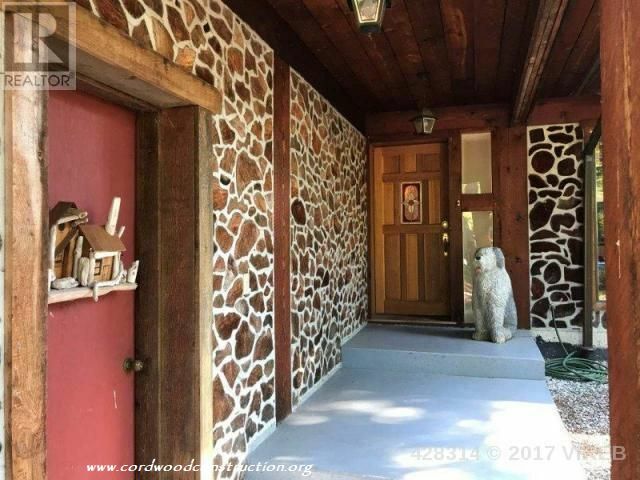 What would encourage you to buy? What would be a deal breaker? 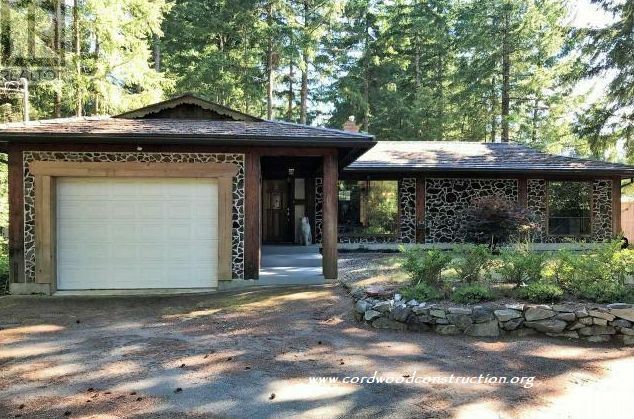 Here is a home in Comox, British Columbia that came for sale and the asking price was just under half a million dollars. 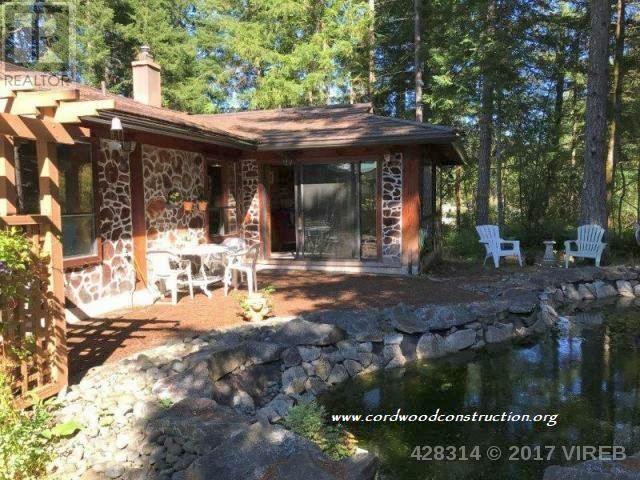 With half an acre, 1800 sq. ft. and western red cedar as the cordwood infill, this beauty sold as soon as it hit the market. 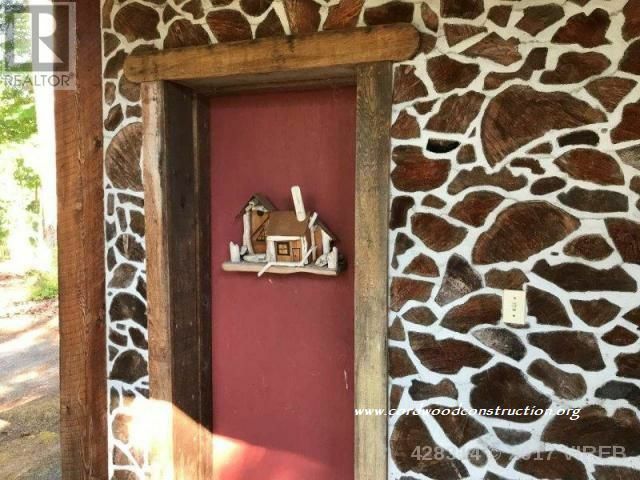 Lots of wood, but oh, so well done. 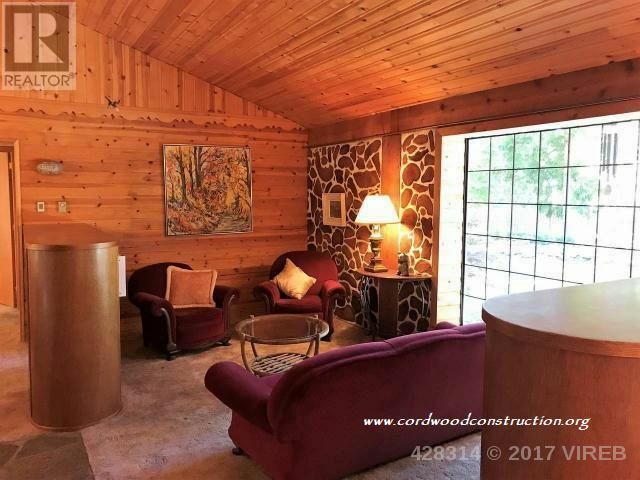 Personally, I love a wood ceiling. 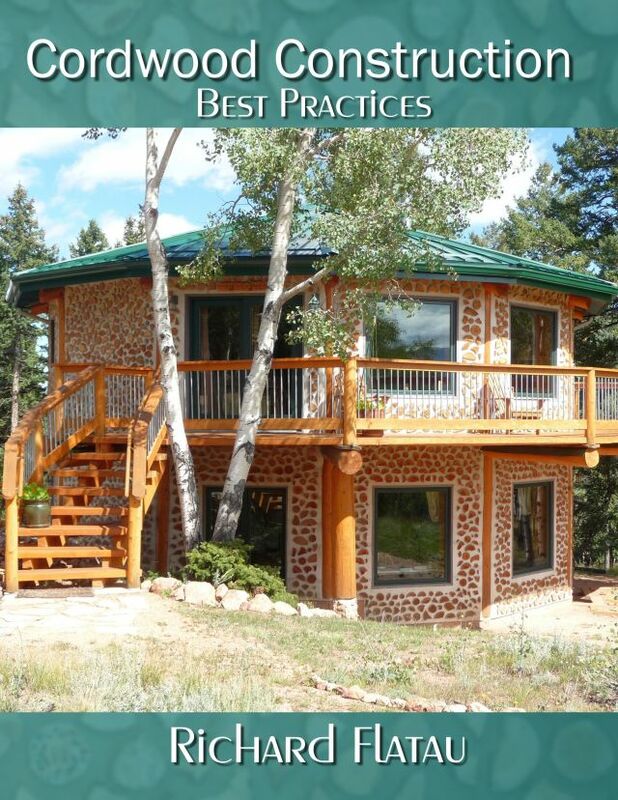 Well placed cordwood log ends, with clean mortar joints, make for very attractive, complimentary walls. 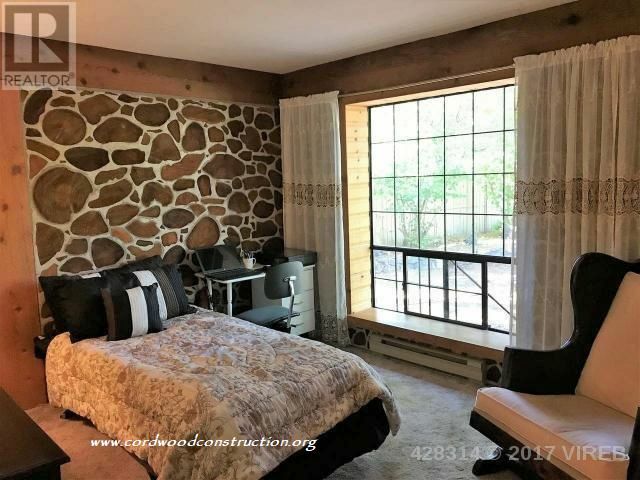 The specific features: 3 bedrooms 2 bathrooms, timber frame & cordwood; vaulted ceilings, a large open kitchen, a bright Sunroom & a cosy fireplace. 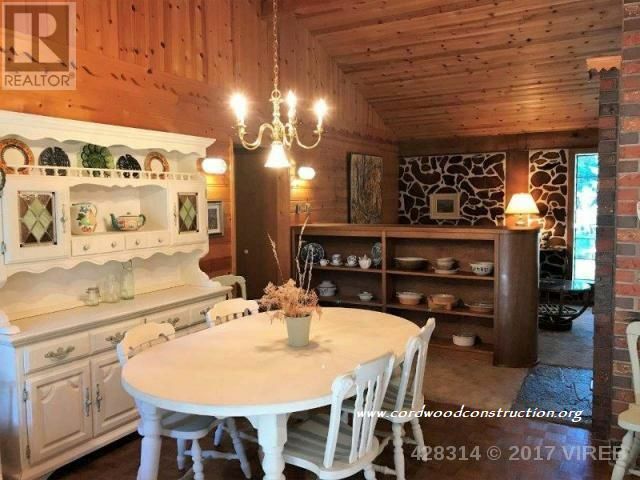 The kitchen is large & open with an eating area. The roof was replaced a few years ago with lightweight metal. 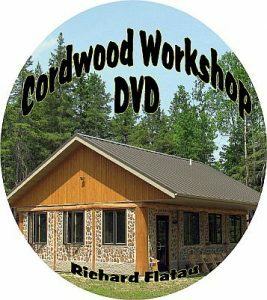 Most cordwood homes that do sell quickly sell because of the attention to detail and the quality of the build. 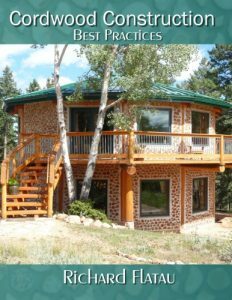 The doors, windows, posts, roof, mortar, cabinets, closets, interior fixtures all play an important role in the attractiveness of the home. 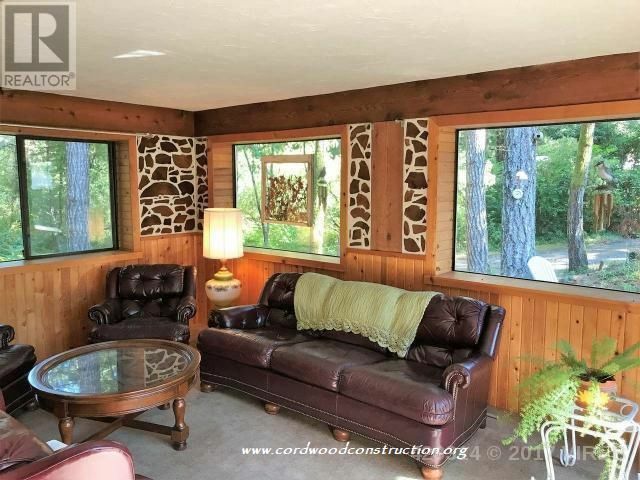 This cordwood home sold very quickly.